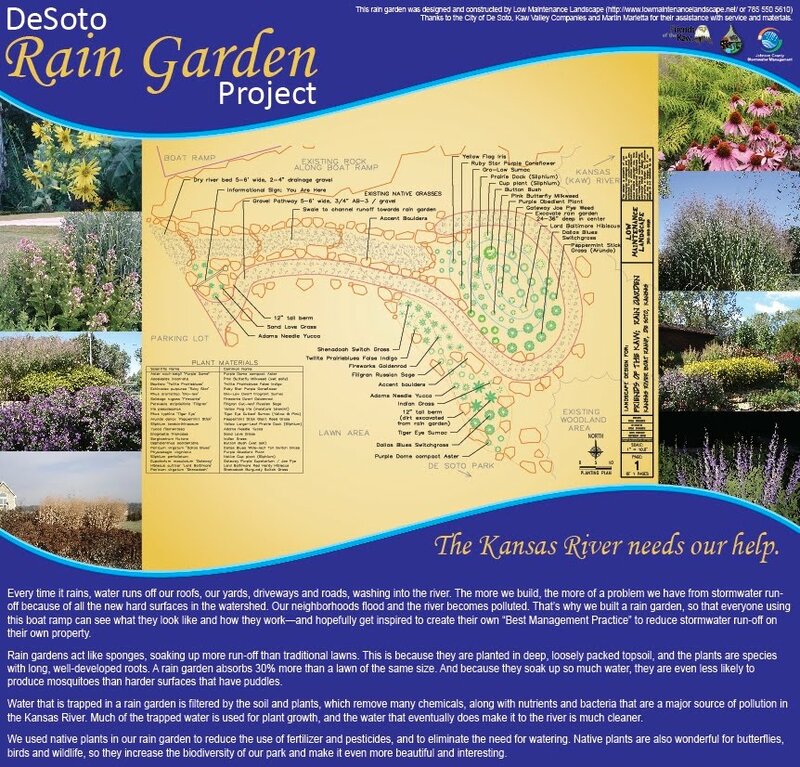 Friends of the Kaw has embarked on a new adventure– we are building a rain garden at the De Soto Riverfest Park boat ramp. Needless to say, this is teaching us a lot about managing stormwater run-off from a hands-on perspective. Our guide is Ryan Domnick of Low Maintenance Landscape in Lawrence. Ryan told us that rain gardens are a great way to put run-off from parking lots to good use. Using run-off to water a garden rather than polluting our river makes a lot of sense. He explained to us that rain gardens not only reduce the quantity of run-off from impervious surfaces, they also improve water quality. While water can’t soak into an asphalt or concrete covered surface, it can soak into a lawn…but a lawn can’t soak it all up. What’s different about a rain garden is the top soil is deeper and less compacted, and the plants have really deep roots. 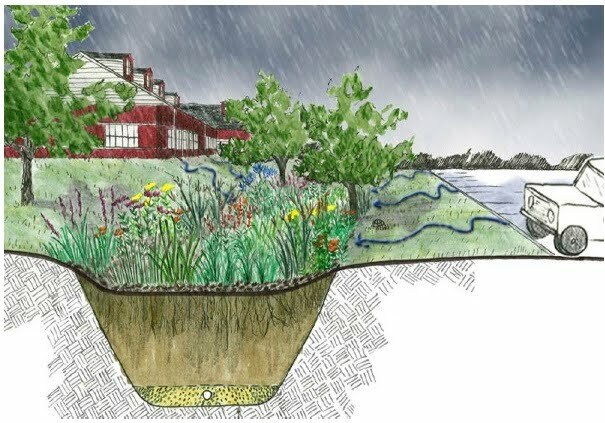 As a result, rain gardens soak up thirty percent more water than a typical lawn. 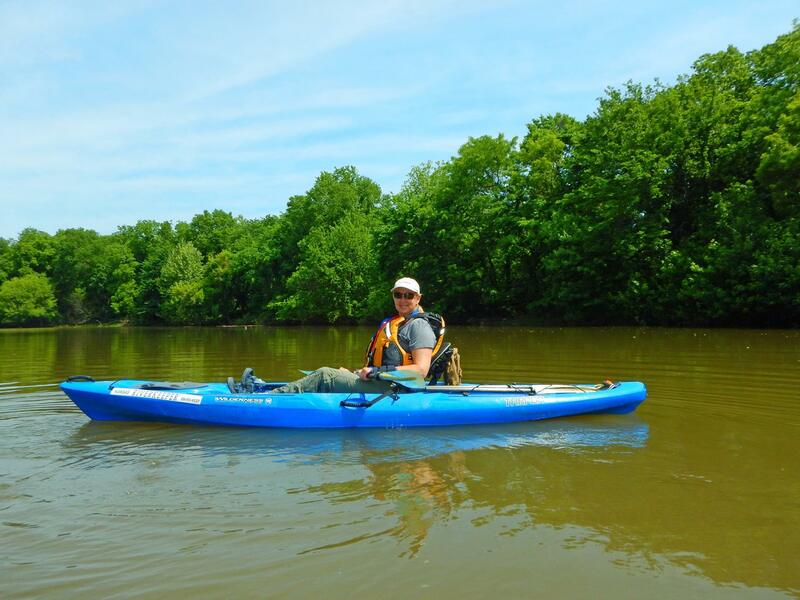 But that’s not all…the plants and soil organisms actually help to remove nutrients and other pollutants from the water. The water that percolates out of the rain garden is better for the environment, and our beautiful rain garden will actually help the river while it is delighting us with flowers, butterflies, birds, and wildlife. We asked Ryan about some of the things we had heard about rain gardens– and he assured us that mosquitoes and weeds are not a problem. If a rain garden is properly designed it drains too fast for mosquitoes to breed (rain gardens are not “swamps” in any sense of the word). And rain gardens can be as neat and attractive as you want– they don’t have to have that “wild” look if you don’t want it. Weeds are controlled by maintaining a think layer of eastern red cedar mulch and some periodic weeding.